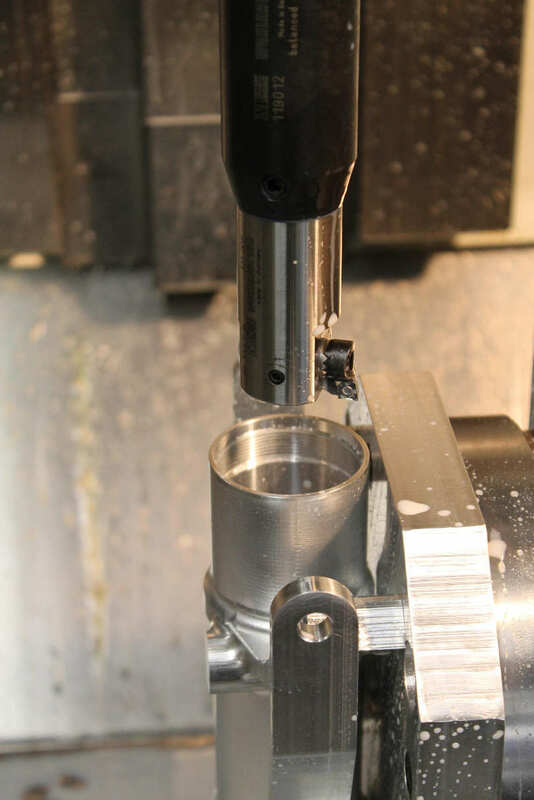 I roughed the main bore using a 3/4″ diameter drill from both sides, followed by a 1-1/4″ stub drill from both sides, then an endmill using circular interpolation to get within .010″ of the final size. 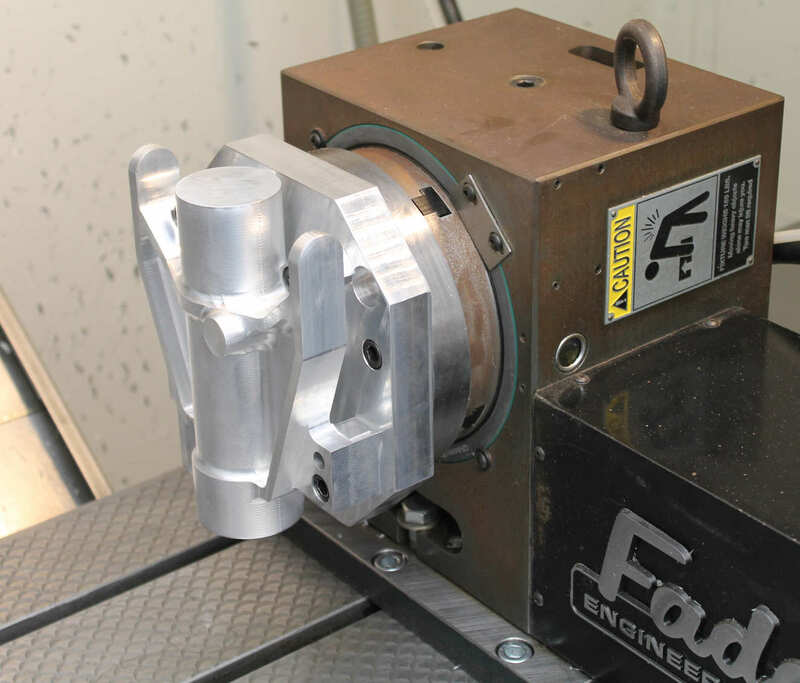 Finish boring was with a fancy Wohlhaupter boring head, which allowed us to bore 6″ deep and hold roundness and size with .0002″. A real pleasure to use a beautifully balanced tool like that. The next picture shows the boring tool in operation, with the usual coolant squirting everywhere. Must have cooling and lubrication. The threads were cut earlier with a thread mill using helical milling. (I made a thread plug gauge previously to check the thread size as we finished it). Boring was the last step, so we could make necessary fine size adjustments and repeat the operation as necessary. We used a boring cycle on the Fadal Mill that bores to depth, stops the spindle, shifts slightly away from the work, then retracts out of the hole. This is more accurate and leaves a better finish than the usual “G85 bore-in, bore-out” cycle. 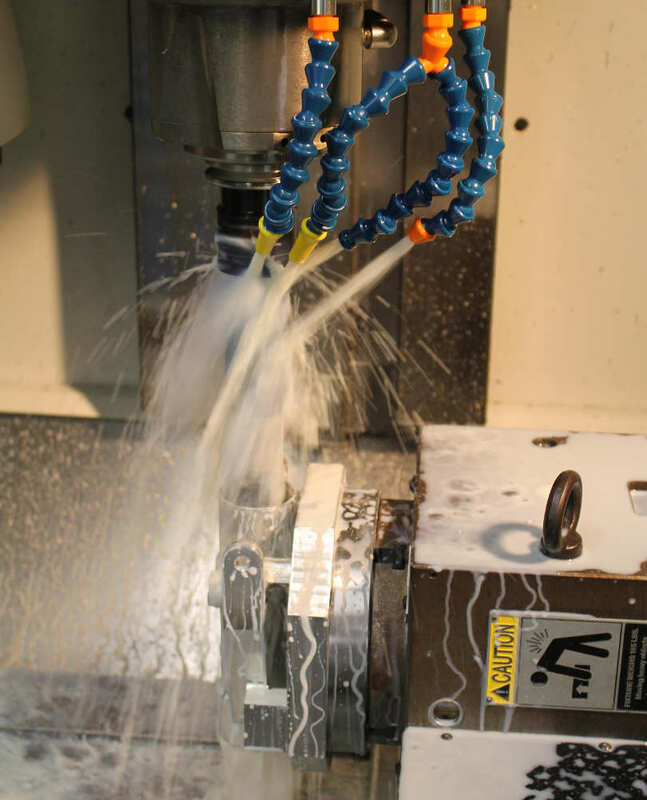 Most CNC machines have something similar. This shows the finished bore, after the part has been anodized (Type I), and we have pressed two IGUS(tm) plastic bearings into the bore. 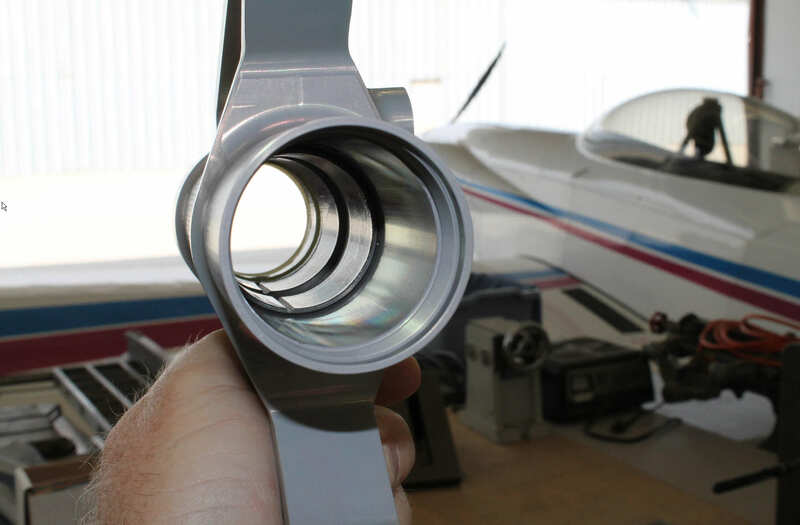 The grooves visible in the bearings are to prevent hydraulic fluid from locking and possibly shifting the bearings.